One word comes to mind when you sip this beverage for the first time…JUICY! It’s absolutely delicious! Carry Bari Life Grapefruit Protein Drink Packets to keep yourself hydrated and refreshed on a hot summer day or if you will simply be out for the day. The best part? 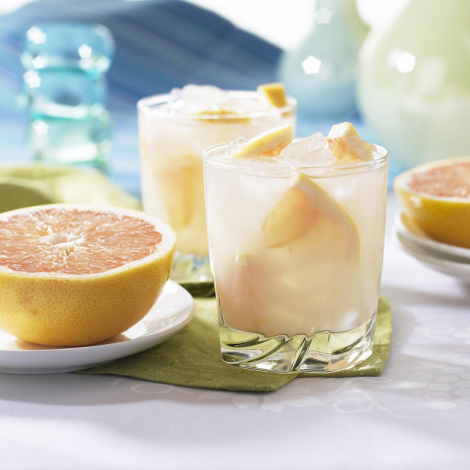 This cool and sweet drink has 15 grams of protein and only 80 calories! For those times when you need protein now and need a convenient choice, Bari Life Grapefruit Protein Drink Packets can help. Grab a blender bottle, add cold water and shake. Nothing could be easier! Suitable for the Pre Op and Post Op liquid diets, solid foods, weight loss, and maintenance diets. Also a great choice for gastric sleeve, gastric bypass, duodenal switch and gastric band patients. Bari Life’s Grapefruit Protein Drink Packets are juicy, sweet and hard to beat! Since Bari Life protein drinks were originally created for medical weight loss diets they are a fantastic option for anyone watching their weight! Enjoy them on-the-go for a boost of protein or light snack. Also, a great option for athletes and overall healthy living. For guidance on how to use this item as part of a healthy weight loss plan click here view our Bariatric Diet Plan. Hydrolyzed Gelatin, Whey Protein Concentrate, Citric Acid, Malic Acid, Artificial Flavor, Potassium Citrate, Tricalcium Phosphate, Sucralose, FD&C Red #40, FD&C Blue #1, Soy Lecithin. If you’re a fan of homemade smoothies you can easily add 1 of our Grapefruit Protein Drink Packets to the mix to get an extra boost of protein! It also tastes great in orange juice and other fruit beverages. The perfect way to get an extra 15 grams of protein, only 80 calories and no fat! Also, mix it with our Bariatric Multivitamin Powder and add water to get more bursting flavor AND all of your vitamins and minerals for the day! Great! Grapfruit is my favorite, very refreshing. I miss the bottle though.